Yesterday I did not get to perform my morning run, so I had to come up with a quick meal that I could make fast, so I could get my run in before dinner. This is what I came up with. A pack of chicken Breast (skinless of course) *Bonus both were on sale! Frozen vegetables (I used the California selection) any variety is fine whatever you prefer. 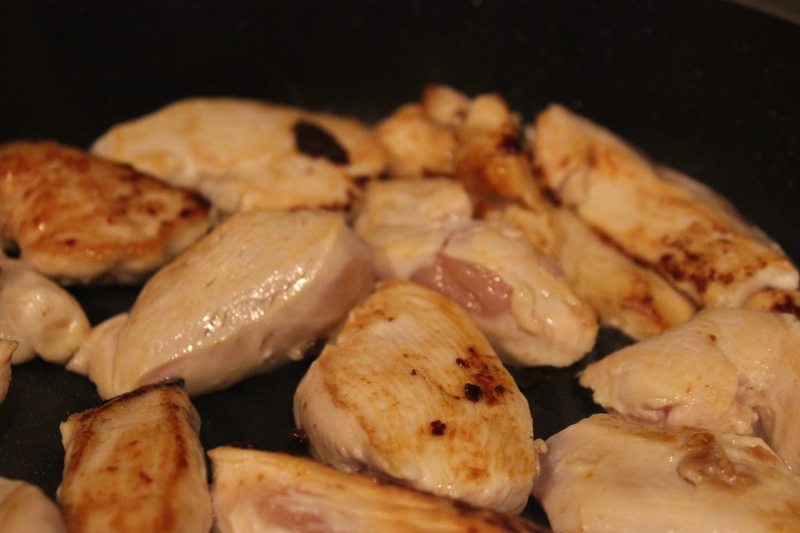 once cooked through, remove and add the chicken cut into large pieces. They will cook nicely in the juice from the sausage. Sprinkle with salt and pepper. Cut the sausage up, while the chicken is cooking. 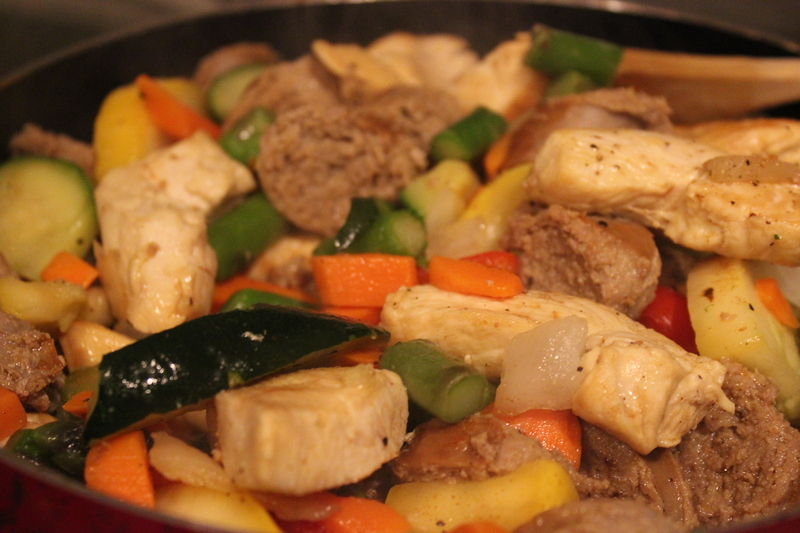 Once the chicken is cooked, add the vegetables and the sausage back to the pan. 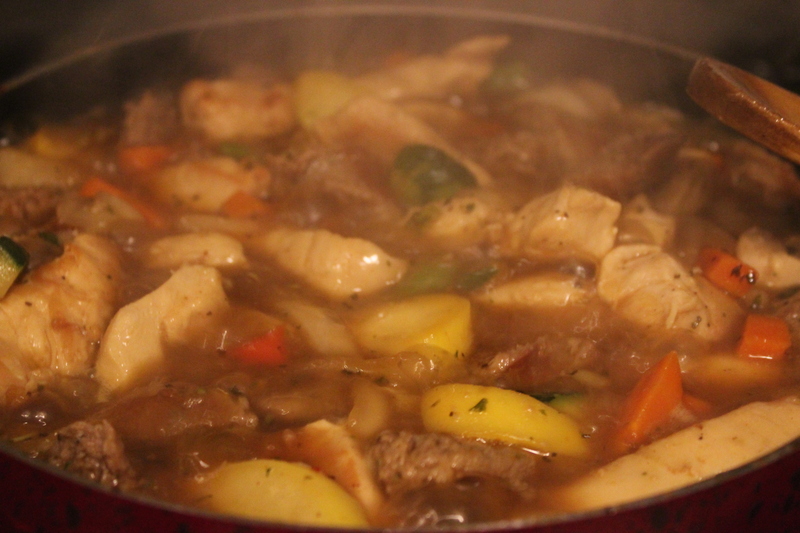 Cover and simmer until the veggies are defrosted a bit. Add the marsala sauce (as the direction stipulate) Cook on med high heat until boiling then reduce to simmer and allow to thicken. 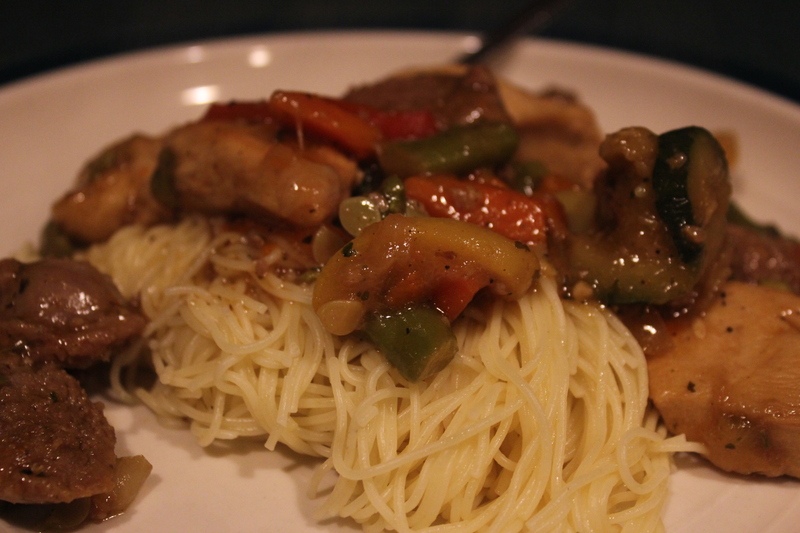 I served it over angel hair pasta and everyone loved it. I never had sausage with Marsala. I need to try that. 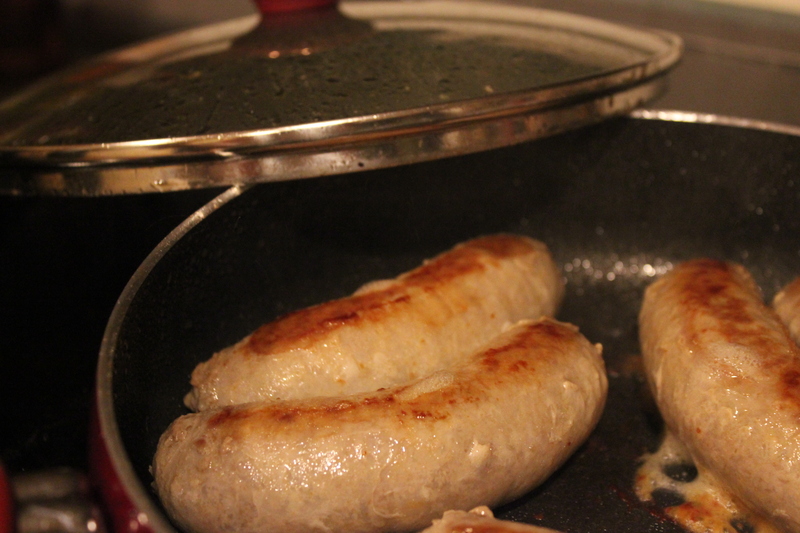 The turkey sausage from Jennie-O is what we use. Gotta say you are disciplined. Structuring your meal around your run. Good stuff. I’ll be following to see more. Thanks. Thank you!! I run almost everyday, and it helps to make sure I have what I need to cook on hand so I can runa nd then get dinner ready for the Family! 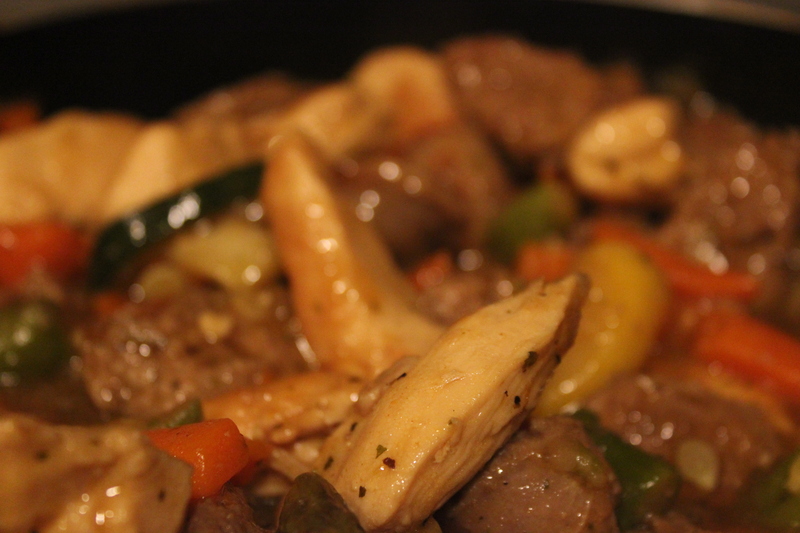 This recipe was a throw together that I made up, and it was really tasty. I hope you try it! If you do let me know what you think!